As a consultant, the question, “What do you actually do here?” comes up quite often. In answering this question, I’ve realized that my response has a slightly different flavor almost every time. 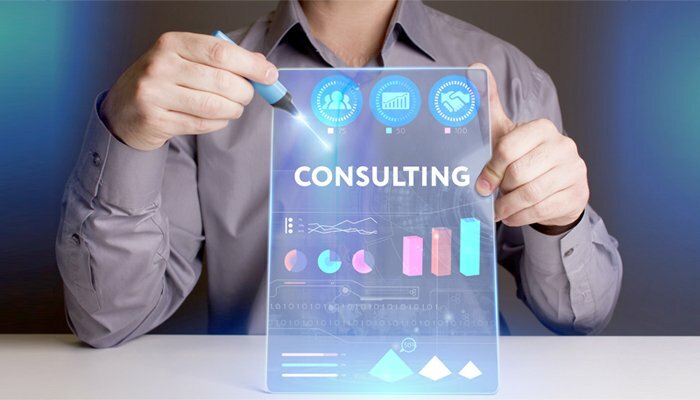 When you work in consulting, it’s normal to jump from project to project; one month, you might be providing program leadership for a Consumer Packaged Goods (CPG) company that has been in business for 20+ years, and the next month you could be developing business process definitions for a newly founded health and fitness startup. OK… what do you actually do/what have you done? A Consumer Packaged Goods company needed to figure out how to transform their business in order to hit a particular savings target in the next couple of years. They needed our help in several phases of this transformation: due diligence, program management, and executive reporting. We helped guide the client through this transformation by developing playbooks they could use each time a new project was started, creating tracking tools that allowed for easier executive reporting, and figuring out other creative ways to add to their bottom line. This client is already well on their way to meeting their transformation goals thanks to the tools and techniques we helped implement. A nonprofit that provides after-school technology classes for underprivileged youth needed help running a pro bono vendor selection to replace their aging donor management system. They needed our help documenting and prioritizing the types of functionality the staff were using most and driving future state requirements for a new platform in order to transform the way they were tracking their donors and donations. Once we were able to understand our client’s gaps, and the goals they were trying to achieve, we were able to help them choose a software vendor that fit best for them. An e-commerce company needed to convincingly present their three-year technology plans to their board in order to get appropriate funding. They needed our help to gain an in-depth understanding of their technology ecosystem. We diligently evaluated each aspect of their tech, what needed to change, and when they should change it by. We tied our findings to what the industry was doing and where cost savings could potentially occur. There were many systems that needed to be upgraded in the next 3-5 years and being able to show the board the impact of various transformations yielded them approving the funding that was needed. A health & fitness startup needed to simplify how their users were interacting with their product. They needed our help building out all of their current and future state processes using a tool called IBM Blue Works. This 20-week project had several moving pieces to it, including managing the training of IBM Watson to help transform their customer service, live-person chat. Getting to oversee the implementation of cutting edge technology was hands down one of my favorite moments on this project. After implementing these changes, the client was able to improve user engagement and better understand their process flows for future changes. Working on these types of business transformation efforts over the last couple of years has been very fulfilling (and busy!). But, the best thing about being a part of a company like Thought Ensemble is having the opportunity to partner with industry executives to help solve their most difficult transformation type problems. So, what do I say when people ask me, “What do you actually do here?” I tell them I help businesses transform.